The sound of one man's last two brain cells rubbing together to stay warm. The act of capturing EVP activity to support paranormal research is a source of much contention between skeptics and believers. 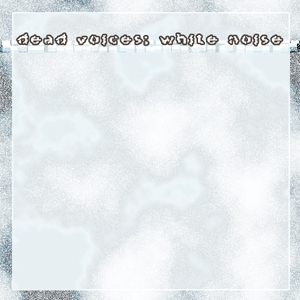 Dead Voices; White Noise disregards the arguments and goes straight to the heart of the matter – the recordings. Tracks for this compilation were created using EVP recordings, either as samples to complement a composition, or manipulated to become the basis of the composition itself. A brief, but haunting, exposition of dark ambient and noise, inspired by notions of the supernatural.